My first ever 1st class boarding pass! Haha! 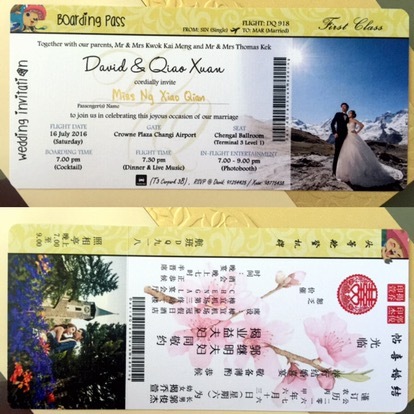 Alrights, this is a wedding invitation specially designed by the groom. It reminds me of attending a company dinner and dance / an annual group dinner that also provided us a boarding pass as the entrance ticket.